I think I found my Holy Grail Mascara in the form of Blinc Mascara. Indulge me and read the short story below. 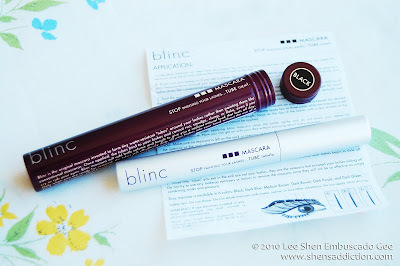 It was one fateful Saturday when i was able to test the Blinc Mascara. My cousins and I decided to stay at my place and watch In My Life, a Filipino movie starring Vilma Santos, Luis Manzano and John Lloyd Cruz. Vilma Santos portrayed a doting and demanding mother that reminded me so much of my own mother that I couldn't help but cry from beginning to end of life. Really, I was bawling my eyes out. 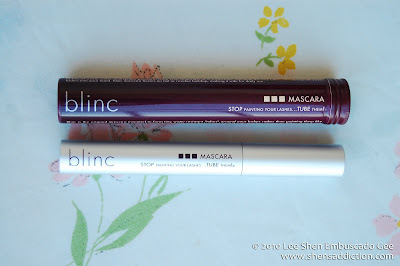 Earlier that day, i put on the Blinc Mascara before leaving the house to accomplish errands. When I was crying, I was careful not to ruin my mascara as I wiped my tears away. What I didn't realize was that my shirt (yes, I was using my shirt t) didn't even have a trace of mascara on it. I used tissue to press my eyes and again, no black stain. The mascara stayed put. It was tears(lots of it)-proof. Then, I realized that in my stash rests my HG Mascara. Blinc Mascara casts your lashes individually. 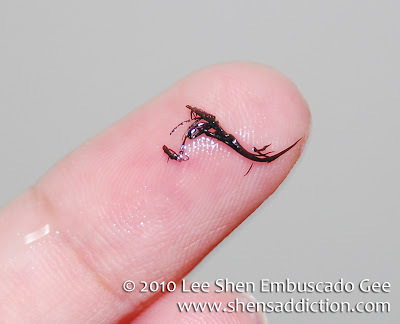 It encases your lashes like when you're arms is being casted or doing paper mache. 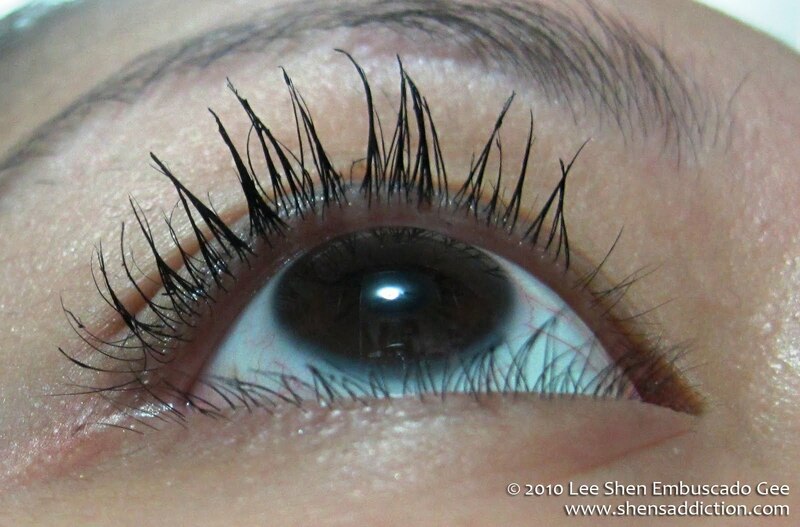 It mimics that shape of your lashes at first coat. But if you want to increase volume, simply build it up by applying more. Don't wait for it to dry. When you're done, don't touch your lashes as it takes about a minute to dry. This mascara may not be able to give me the vavavoom lashes but this definitely will never ever ever run, smudge, or budge. Exactly what I need when i'm out the whole day and can't afford to deal with mascara boo-boos. If it doesn't budge, smudge, run.. how do you get rid of it? I tried my L'oreal Gentle Lip and Eye Make up Remover with this one but it still wouldn't budge. You know what did? My facial soap and water. No kidding. The instruction says that it could be removed by warm water. But to those who doesn't have tempered water and had to deal with one setting, what else can we do? I washed my face with my regular facial soap (currently SAS soap from Flawless) and water. 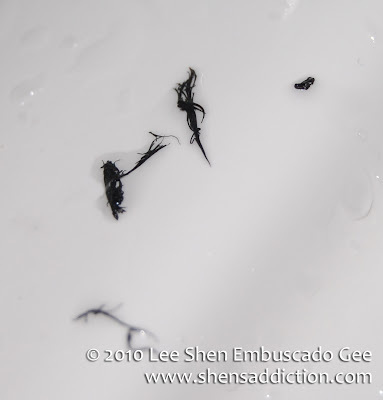 I wash my face as per usual and after that, I saw the tubes on my face and the rest fell on the sink. It was like magic. Love!! No tugging or pulling on my eyes anymore!! Don't believe me about the tubes? See below! photo of actual tubes when its removed. I actually perused the black tubes to see if there was actual lashes on it. Mind you, I already removed my eyeshadow and gel liner here with a makeup remover. As you can see the mascara is still in tact. This mascara will stay with you all night and all day. Definitely for a night owl like me or for a party girl like some of you! It's a good thing that this is available here in the Philippines. If you buy this or any Blinc Products within April and May, you'll get free shipping. 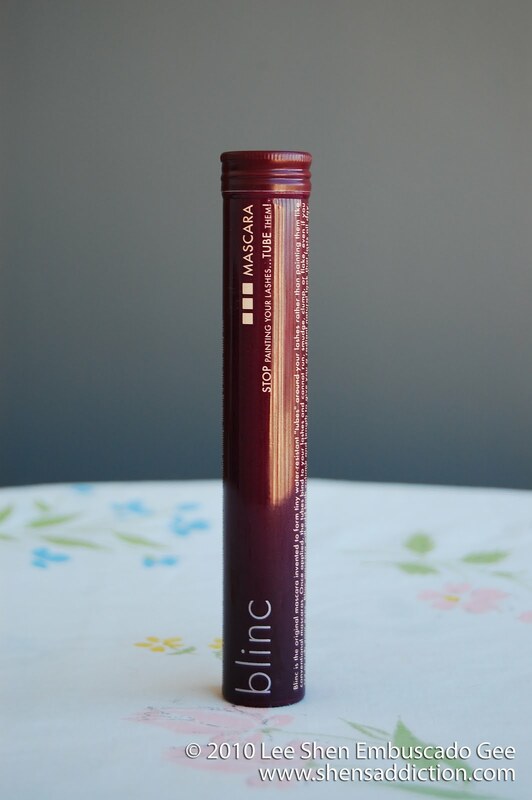 I know I recommend a lot of mascara but this one is on the top list. Especially for women like me who has a lot of things to accomplish in their everyday, this mascara will definitely do its job and exceed our expectation. Great lashes without the hassle, what more could I ask for? Sounds like a great product, but I don't normally spend more than 500 on mascara, haha. hi! new follower and your post on this mascara made me realize that you and i will get along just fine!!! i found this mascara about three years ago. 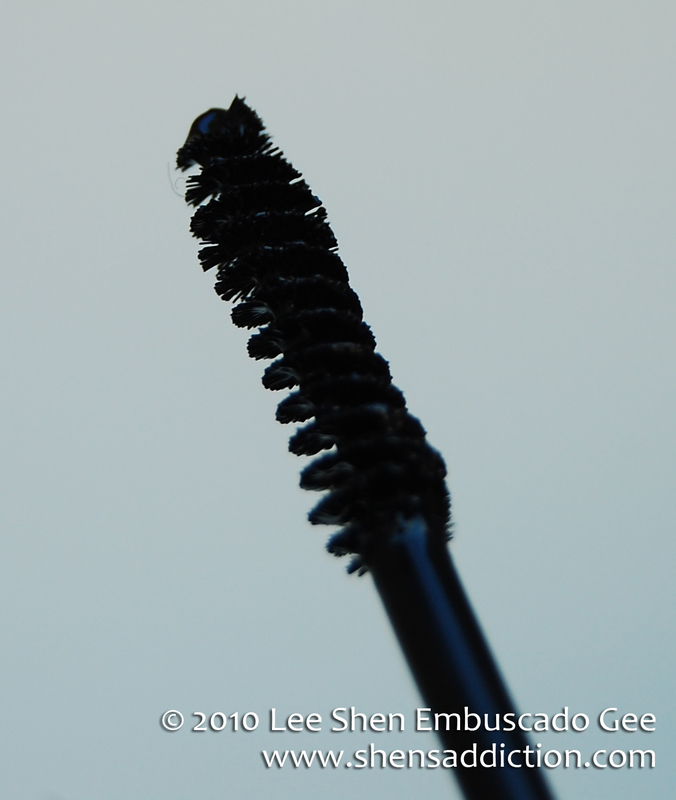 it is my HG because most mascaras flake on me and get stuck under my eyes - euw!!! everytime i stray (dior, i am talking about you!) i come running back to this mascara. LOVE IT! glad you are spreading the word!!!! 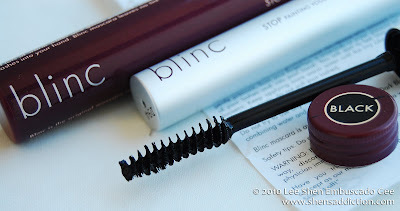 I love Blinc Mascara, it's my HG mascara too! i've tried this, and you're right it doesn't budge nga, but it's pricey so i haven't bought my own yet.